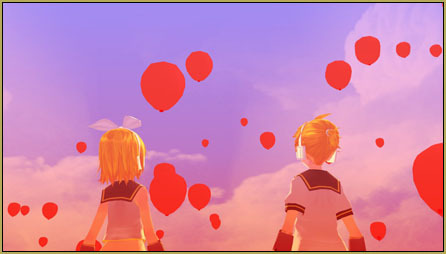 For a long time, I wanted to do something in MMD that was inspired by Nena’s song, “99 Red Balloons” mostly because the song was stuck in my head for more than a month. So I tried to look for effects that would help me emulate floating balloons. While browsing through BeamManP’s list of effects, I came across “balloon_V2”. Exactly what I was looking for! 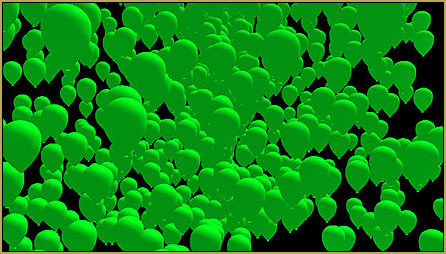 What the effect does is generate floating balloons, so you don’t have to load a balloon model or accessory one by one. 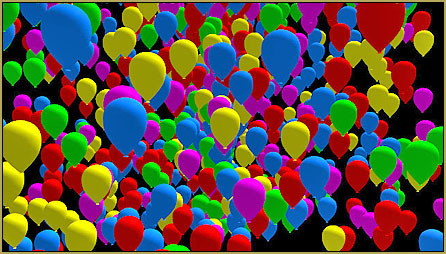 When I loaded the .x file in MMD, the balloons were in different colors. Of course, if the balloons came with just one color it would have been bland and boring, right? That wasn’t the case, I needed the balloons to be red! I found that the folder had four .fx files, so I changed the default .fx file that was assigned to the .x file in MME, but the balloons turned green! ‘normal_baloon.fx’ was made for accessory files. Bearing that in mind, I decided to try it out. Enter my test subject: Animasa’s Hatsune Miku! 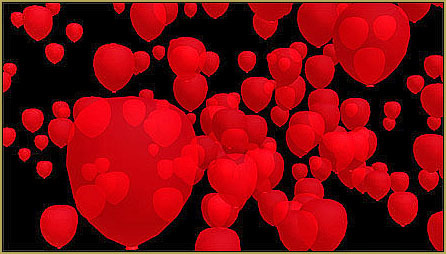 I loaded her up in MMD and applied ‘model_baloon.fx’ via MME. 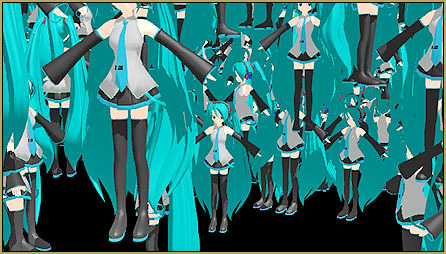 Much to my surprise, the effect made floating copies of Miku, and due to her being a full model, my laptop couldn’t handle it and started to slow down. This photo was first uploaded into my deviantART account. TDA Rin and Len by akirinaf.